ALMOST half of people would drive through floodwater despite the dangers it poses, a survey suggests. Responses from more than 19,000 AA members found pensioners were most likely to take the risk, with 49% of those over 65 saying they would drive through floodwater, compared with just 40% of 18 to 24-year-olds. Overall, 48% of people said they might drive through standing floodwater covering the road, while others said they would check the depth and only drive through if it was below a certain level. Less than a third (30%) would turn around and go another way, with men less likely to do so (26%) than the women (38%) who answered the poll by Populus. The AA said it has been called out to 22,817 flood rescues in the past five years. 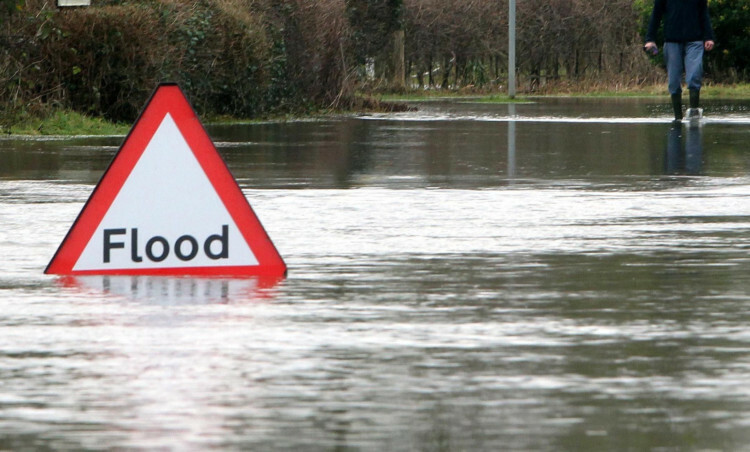 The top three spots for motorists needing to be rescued from floodwater in the UK are Rufford Lane in Newark, Nottinghamshire, Watery Gate Lane in Leicester and Houndsfield Lane in Shirley, Solihull. The motoring organisation has teamed up with the Environment Agency to warn people that attempts to drive through flood water can be life-threatening. It can take just 1ft (30cm) of flowing water to float a car, while floodwater can get into a vehicle and wreck the engine. Floods also hide other hazards, such as ditches, from sight. Many of the flood rescues the AA has to deal with could be avoided if people had checked Environment Agency flood warnings, which are free and updated every 15 minutes, before they travel. The Environment Agency’s John Curtin said: “The sheer number of people of all ages who wouldn’t think twice about a potentially fatal decision to drive through a flood is deeply worrying. Our message is simple: don’t. Olly Kunc, AA director of road operations, said: “While it’s easy to assume it will never happen to you, even the most experienced driver could be out of their depth in floodwater. “Last year, more than 2,500 AA members became stranded while attempting to pass through a waterlogged road. Even a small amount of water ingested through the air intake will wreck the engine, while 30cm of fast-flowing water could float your car.